Hup! which he’ll be launching officially at Catskills Irish Arts Week this summer. It’s full of traditional music, the music he loves. This article was originally published in Irish Music Magazine, July 2012. 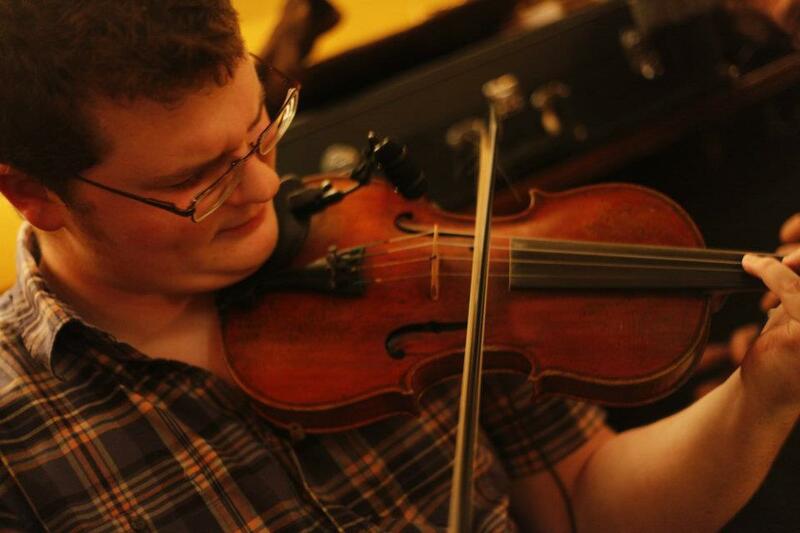 An American hasn’t won the All-Ireland Fleadh in fiddle since Brian Conway in 1986. But that could change. is a force to be reckoned with. He has already been an All–Ireland champion three times in different categories. In 2004, in the under–12, in 2005, from 12–15, and in 2008, under-18. 2012 could be Dylan’s year to take it all. He recently resend his first album, Hup! at the encouragement, he said, of accordion player John Whelan. He’s planning a CD release in Ireland this summer. Pianist, Brendan Dolan (Pride of New York) and guitarist John Dukes (Old Bay Céilí Band) play on it also. And at 20, in America, he’s not even drinking–age yet, and has not finished college. He’s played Irish music seriously since he was 11, after studying the Suzuki. For Dylan, that nine years feels like a long time. Dylan is part of a younger wave of musicians coming up through the ranks. He’s played with accordionist Dan Gurney (profiled recently here), and as a duet competed in Ireland last year. Originally, Dylan had considered making a duet album with Dan, and hearing Dan was making a solo album encouraged him to make his own. He’s from Highland, New York, the same part of the world as Dan. Like Dan, he was taken to Father Charlie Coen’s sessions in Rhinebeck when he was a child. His parents were into Contra dancing, and from an early age Dylan was also fascinated by the fiddle. It was hard to practice at first. “There was a lot of pain, a lot of crying,” he says. He describes his style as strongly rooted in the Sligo tradition, because that is the style used by his first teacher Rose Conway Flanagan (the original fiddler of Cherish the Ladies), and sometimes with her brother Brian. At one point he studied with them both, and laughs recalling how they used to bicker through him. He’ll be doing that this summer at Augusta Heritage Center in its Irish/Celtic week. Dan Neely, who Dylan describes as a “great mind,” who writes for the Irish Echo and leads the Washington Square Harp and Shamrock Orchestra, is running the Elkins week for the first time. Dylan will be teaching beginning fiddle. Today, Dylan says, his style is also somewhat gritty, a little dark. He plays loud, but he credits that to his fiddle. Volume is also probably related to his being a big guy. Dylan is 6’5” and about 270 pounds. In high school, his friends encouraged him to go out for football, but he didn’t like tackling people, so he played basketball instead, juggling sports with playing professional gigs from eighth grade (12–13) on. “It was funny trying to explain it to kids, that I was going off to play in a pub,” he laughs. His favourite set on the CD is the reel set that begins with “Humours of Castlefinn,” which he learned from Patrick Ourceau, that continues through “High Road to Glin” and “Cavan Reel.” The first track, too, that begins with “Kilteery Pie,” is also special to him. That was all in a studio in the Catskills, mostly on two hours of sleep. He recorded the album after playing a céilí and session. But the polished, confident tunes suggest that the urgency only helped his playing. Catskills Irish Arts Week in East Durham has been a part of Dylan’s life since he was 4 years old, before he even played. He attended the children’s workshops while his Scottish mother, Ann took tin whistle lessons and his father, Tom studied guitar. Later on, he studied with Patrick Ourceau, Willie Kelly and Liz Carroll. “It’s always great craic up there,” says Dylan. He and Dan Gurney will play in the Catskills this summer for a series of concerts at the Blackthorne Hotel that begin at midnight. He’s come a long way since he first saw the Contra fiddlers and knew that was for him. Sometimes he thinks he might experiment with jazz, but then again, 95% of his iPod is filled with trad, he says. And fiddling is a release for him. “The physical part of it brings me back to something good,” Dylan says. There’s something about the wood instrument, the vibrations and the tunes, that combines to express his emotions, he explains.